On Tuesday, Swami Agnivesh was thrashed by workers of the Akhil Bharatiya Vidyarthi Parishad and the Bharatiya Janata Yuva Morcha, the youth wing of the Bharatiya Janata Party. 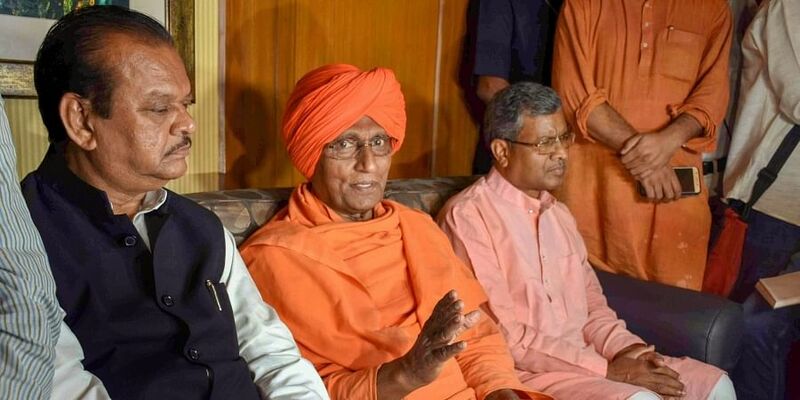 RANCHI: Jharkhand Urban Development Minister CP Singh on Wednesday said that self-proclaimed spiritual leader and social activist Swami Agnivesh sponsored the attack on himself. He said, "I think he sponsored an attack on himself. He is a huge hypocrite. He talks against Hindus, makes anti-national comments, supports Kashmiri separatists and naxals." Agnivesh, who was in Jharkhand's Pakur to attend an event, was in his hotel when a mob of the ABVP and Yuva Morcha workers surrounded him. Earlier in the day, Agnivesh had said he could have been murdered in the "planned" attack.